I haven't foodblogged for a while, is that even a word? If not it should be! It's not that I haven't been cooking and eating though, that's a daily thing you see. Last thing I do before sleeping is usually either checking instagram and/or reading about new recipes and products (vegan of course)! But I've just been busy with university (hello essay about gender) and since I only eat cooked foods for dinner and that it's already dark at 6:30pm, it makes it hard to take pictures good enough to share with you! Buuuut I have a week off, and before leaving for Germany I am using my time wisely : aka baking. and eating. (also writing essays obviously). I used to dislike pears. I thought of them as uninteresting apples. And I didn't think of apples as highly interesting anyway. Fortunately I have changed my mind and I now really enjoy the juiciness and tastiness of pears, which are, much more enjoyable in my opinion than apples. But we're not here to compare fruits, we're here to talk about this cake. 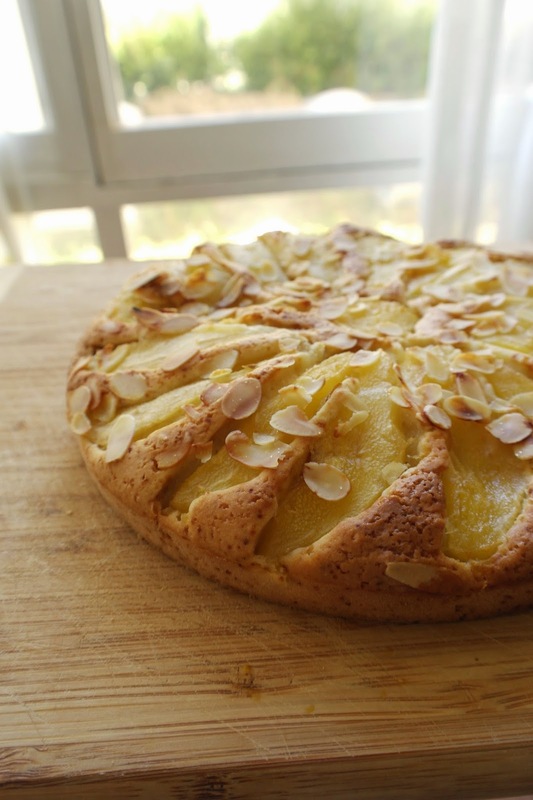 This fluffy, sweet and incredibly light pear cake. Not only does it look pretty it tastes amazing, yet is so simple to make! And cheap too, because let's be honest, not having to pay for crazy ingredients make things taste even better. Do I need to mention that it's completely vegan? and that no one would notice? No fancy ingredients and a very easy&quick recipe, for a delicious result. Could you ask for more? Preheat your oven as you would usually do, and then peel and slice the pears.All you have to do is mix the dry ingredients in a bowl, melt the butter and then mix all the wet ingredients in another bowl BUT the vinegar. Then combine the two and mix well. Now add the vinegar and mix (do not overmix). 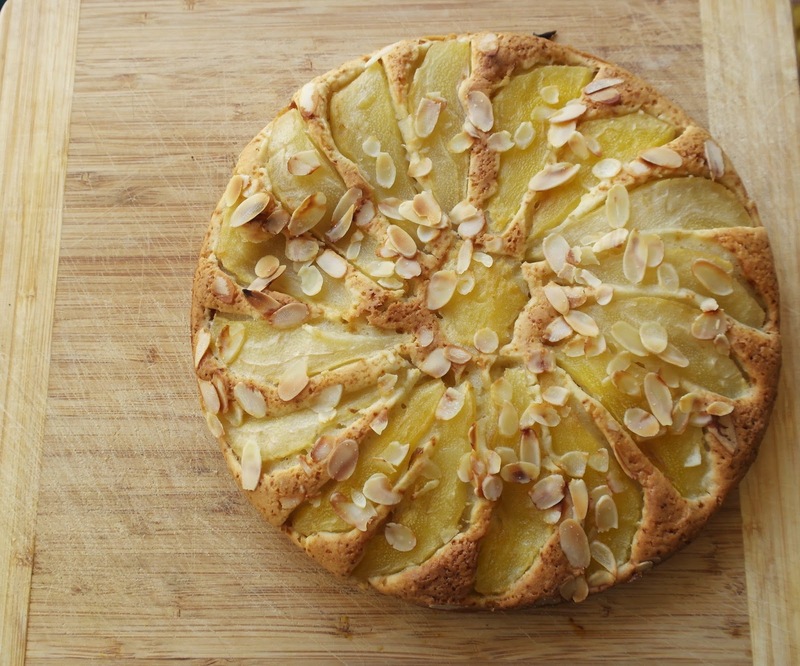 Pour into a baking pan, place the pears so that they're pretty and happy, add the almonds and then hop! in the oven for 25/30 minutes! (I like to place it on the lowest shelf of the oven, at least for the first 20minutes). My sister and I ate it all. In a day. No, we don't regret it. I find apples uninteresting and am glad to know someone else does too! Pears on the other hand, I've always loved them!